Somewhere along the line we lost our way. We started treating the web like any other marketing channel. We had TV advertising, radio advertisements, printed material, and then the web. But the web is different and if we fail to recognise that we will alienate our prospective customers. There is a big difference between your site and other marketing channels. There is a big difference between your site and other marketing channels. Those arriving on your site have already expressed an interest in what you have to offer. Take a moment to think about it. If you take out a newspaper ad the people seeing that advert may have no interest in your product or brand. The aim of the advert is to grab attention and stimulate interest. The same is true for TV, radio, and almost any other traditional marketing channel. When we use the web we have questions and are looking for answers. The job of a website is to provide those answers. Yet too often we are more interested in convincing them than answering their questions. This is ironic as the best way of convincing anybody is to address their concerns. This means answering any questions they have. This mindset impacts everything from the structure of our site to the content of each pages. It even effects things like your strap line. What is the first question users have when they arrive on your website? The answer is; “am I in the right place?” A good strap line should answer this question by summarising what it is that your company offers. Yet instead most strap lines seem to be meaningless marketing happy talk. They are designed to be clever rather than informative. 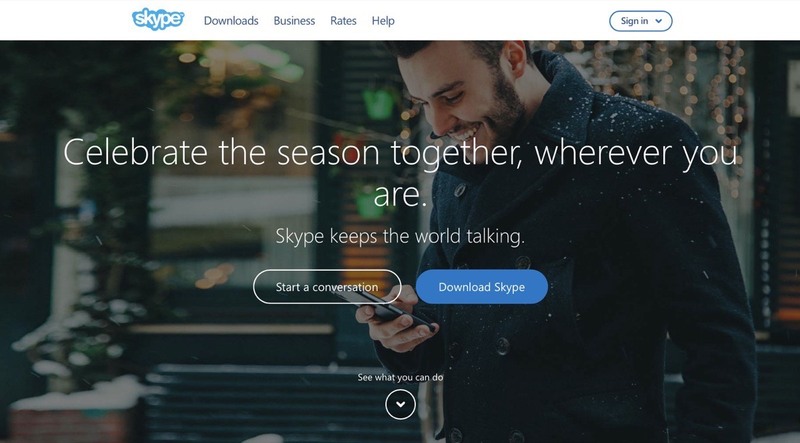 If you didn't already know what Skype was this homepage would tell you nothing. 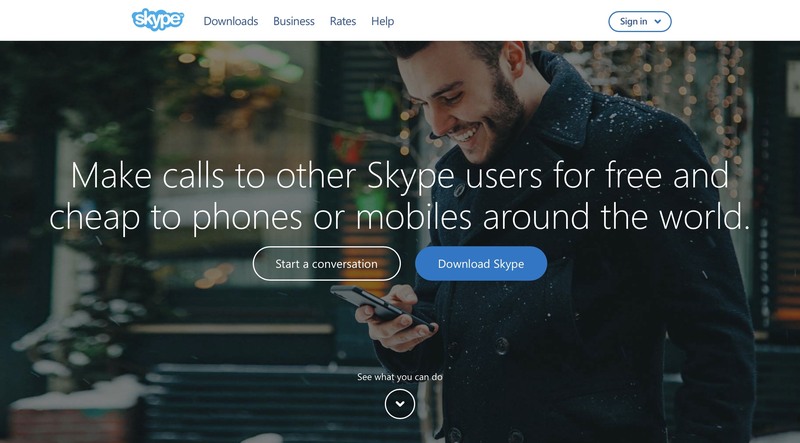 By replacing Skype's new strap line with an earlier version the site becomes much clearly and answers users basic questions. When I work with clients on their sites I ask them to write down every question users might have. These questions become the basis for the content on their website. Not only is it used as a starting point for writing, it is also the basis for the site’s structure. I believe questions should lie at the heart of our sites. That is why I’m so against migrating content when we redesign. Because most of us have built our sites around what we want to say, our sites often fail to meet users needs. This means no matter how much you improve the user interface you will not improve the usability of your site. If you want to improve the usability of your site, make sure you address the content, not just the interface. On the upside, you will find that by focusing on users questions you will be able to remove a lot of content. Content that is online despite the fact nobody is actually interested in it. Content that is more of a distraction than a help. So next time you work with a colleague or client on content, encourage them to start with user questions. But also as we work on our own websites resist the urge to start being clever or trying too hard to persuade. Answer users questions as clearly and honestly as you can. It is amazing how positively people respond to this refreshing and (unfortunately) unusual approach.